It’s been an amazing year for us at World’s Best Cat Litter™. We appreciate all of the feline lovers who turned to us to enjoy a more Hassle-Free litter box experience in 2011. Your support, wonderful feline stories, and pictures always make our day, and you helped us reach 50,000 fans on Facebook™! Throughout the year, we’ve shared great cat care tips to make sure you and your cat’s lives are more enjoyable. As 2012 approaches, we wanted to recap some of these helpful hints so you head into the New Year feeling good! Being in charge of your cat’s litter box is no one’s favorite chore, but our blog (and litter) makes that job a lot better. We let you know that the granular size of our litter makes a big difference, and shared informational pieces from Romeo the Cat that explained why type of litter box matters, and that sometimes, you have to think like a cat! Using our natural litter is one of the easiest ways to keep your home smelling fresh, but having a cat around comes with other challenges. We shared feline blogger tips on how to keep your cat from scratching and save your furniture in the process! We even found a woman who “cat-proofed” her house with a special, secure vase. There is a variety of hassle-free ways to train your cat, including how you use treats, as well as tips for kittens, and how to get your cat to love its carrier. But training isn’t just for your feline friends; here’s how to teach your kids to cuddle your cat. 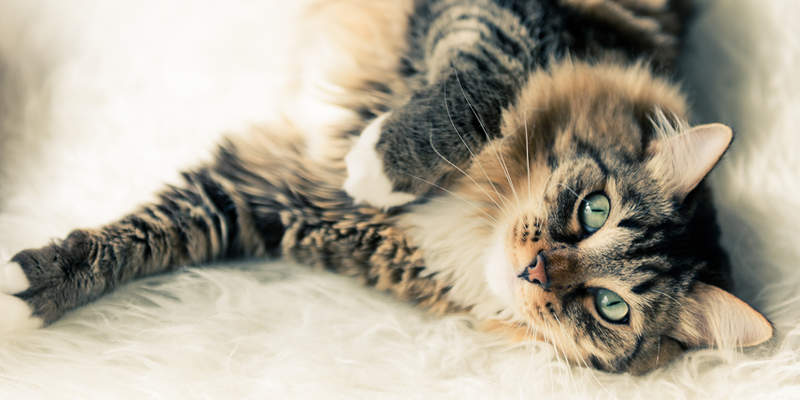 Keeping your cat healthy is a key part of being a great pet parent, and we shared a way for you to figure out your cat’s age in cat years and how to care for a senior cat. Here are some tips on how to tell when your cat is under the weather. And check out these notes for maintaining a routine, keeping their kitty paws clean, and making sure their teeth are in tip-top shape. Our World’s Best Cat Litter™ New Year’s Resolution is to keep sharing tips that help you be the best cat owner you can be possibly be, and continue to make a great, all natural litter that controls odor and simplifies the dirtiest job in cat care. Thank you again for a wonderful 2011 and we’ll see you in 2012! SPECIAL THANKS to our cat expert Romeo the Cat, and all blogging friends at Catster, Pet Finder, PawNation, Pets.WebMD, Discovery News, Cat Channel, Pet Food Direct, Natural Cat Care, Pet Side, and Ezine Articles!